Dimen, 2018 — Shin-deep in wet cement, a frail 56-year-old Mother Wu bends down to pave a new courtyard with large brute machines pounding the ground around her. Every laboured thrust of her shovel brings one-millionth of the funds she needs for her life’s last gift: financial stability for her youngest child, a prized son. 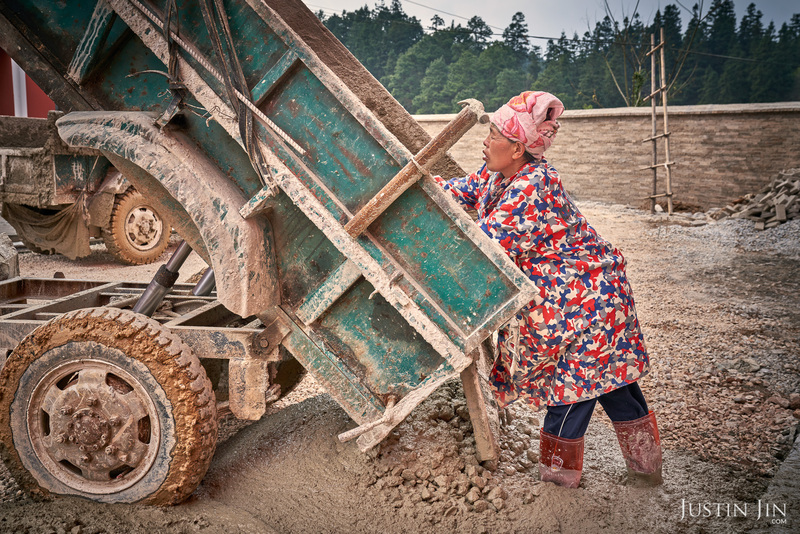 Mother Wu, who has nurtured four children and three grandchildren, is the eldest laborer in this construction brigade made up of poor villagers from the cascade of mountains in Guizhou, one of China’s poorest but fastest-developing provinces. With others in her group, she toils from dawn to dusk to renovate an urban high school in Liping town. At night, Mother Wu squats on the freshly polished cement to cook and chat with the her co-workers. They sleep on cold concrete floor inside corridors, mostly in a pack for warmth and safety. Each morning she wakes up stiff from the ground chill, the relentless work, and age. Mother Wu’s job puts her among the lowest rung of the Chinese society, the millions of loathed migrant workers on whose backs stands China’s spectacular economy. Her outfit tells it all: the pink towel wrapped around her head, printed with the word “Double Happiness”, is a wedding present received by one of her daughters from friends too poor to give anything else. 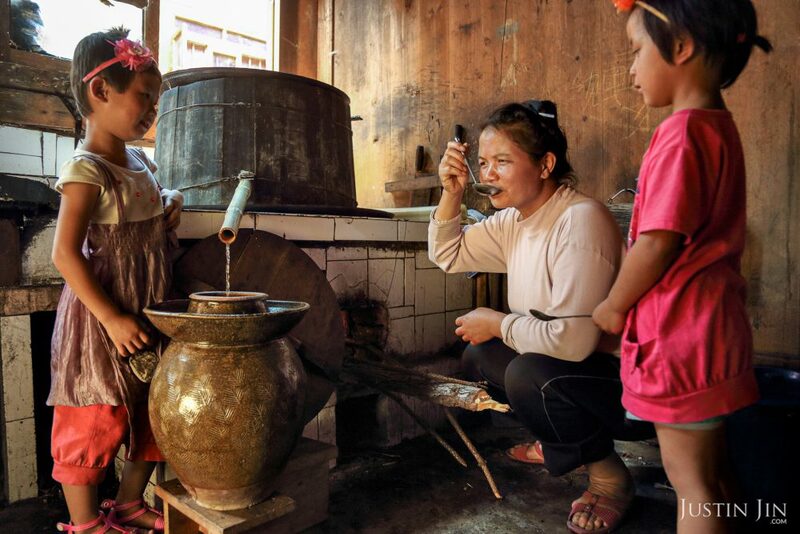 Mother Wu uses it to block the caustic cement from gelling her straight black hair that reaches almost to her waist, customary among women of the ethnic Dong minority who wear their hair in a coil. Her red, blue and white worker’s coat is a hand-out at her last job at a paint factory. It shields her skin from bad cement burn. comfort means Mother Wu’s life’s work is almost complete. This is her story of defiance. The Dong, a low-hill tribe among the larger of China’s 56 minorities, originated in southern China. Mother Wu’s home in Dimen, 45 kilometers from her work, is one of the Dong tribe’s earliest settlements. At the time of her birth, during the height of Chairman Mao’s reign, Mother Wu’s family labored futilely during the disastrous Great Leap Forward. A drive to boost agricultural productivity through quasi-science devastated crops for years, leading to widespread famine that is said to have killed some 30 million people, including her paternal grandparents. 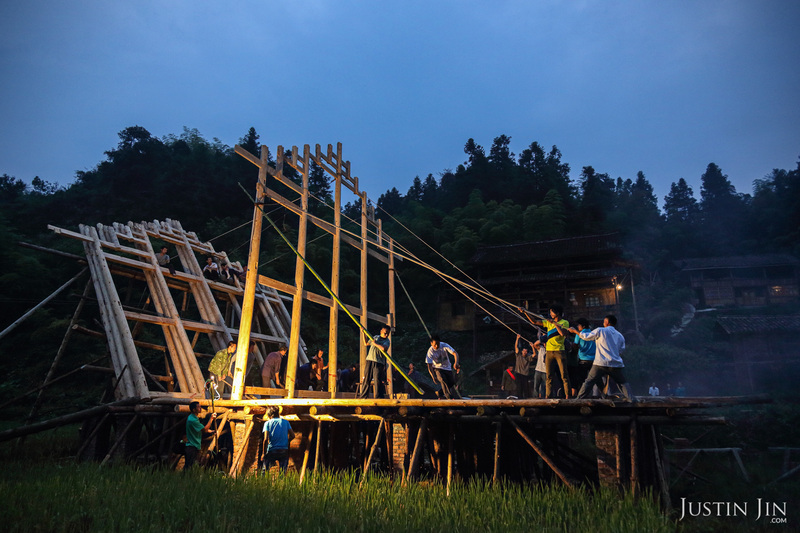 Mother Wu’s parents toiled in farmland four kilometers away, leaving their wooden house at dawn and coming home late. They left her, then 8 years old, in charge of five younger children, with no electricity or running water. Mother Wu collected and chopped wood, built fires, picked vegetables, fetched water, and washed everything by hand without the aid of soap. Her most-loathed task was caring for the pigs. On warm summer days, Mother Wu kneeled along the river that curves through Dimen to wash clothes while other children swam. Most painful of all was walking her siblings to school, barefoot, and then returning home alone. Soon, they could read and write. She remained illiterate. Her lack of education was a source of shame for Mother Wu. Because she could not read, she avoided more lucrative work in big, unfamiliar cities. “I can’t even go to the nearest town without confronting road signs I cannot read, or asking the way from people who think I’m an uncultured fool,” she says. Married life brought little relief. Each day she walked six kilometres to collect firewood, and carried 10 buckets of water from the well. Her children would have better, she decided. Mother Wu’s child-bearing years coincided with China’s now-discontinued family planning policy. At the time, rural families were allowed two children. Mother Wu bore two daughters, Nong and Xia. Still hoping for a boy, she tried again. She was crushed by the birth of a third daughter, whom she named Dong, as well as the accompanying fine: 1,500 yuan – a huge burden for a family that earned almost nothing. They sold their only cow and borrowed the rest. But the urge for a son to continue the family line and help with farming remained. Mother and Father Wu decided to risk another pregnancy. At the end of her second trimester, Mother Wu was visiting a neighbor when government family planning authorities arrived at her home. Her father-in-law, Ye Ye (the affectionate term for “grandpa”) was home alone. He knew the authorities wanted to take her for an abortion, and assured them that he would keep Mother Wu at home the next day. Satisfied, they left. Ye Ye rushed to Mother Wu and sent her off from the village in the middle of the night with nothing but her daughter, Dong. Lest anyone suspect them of fleeing, Mother Wu brought no food, water, or extra clothing. In the dark, she walked for three hours through a wet, hilly forest. She arrived at a road in time to board a bus for a 45-kilometer ride to Liping township, where her husband was working. The following day, the authorities returned to Dimen. They found Ye Ye there, but not Mother Wu. In retaliation, they ransacked the house, kicked down the wooden wall boards, and trampled the family’s few belongings. The eldest daughter, Nong, then 11, returned home from school and saw all the neighbors gathered around their house. She sobbed and asked where they would sleep. Her grandfather patted her head and told her it would be all right. 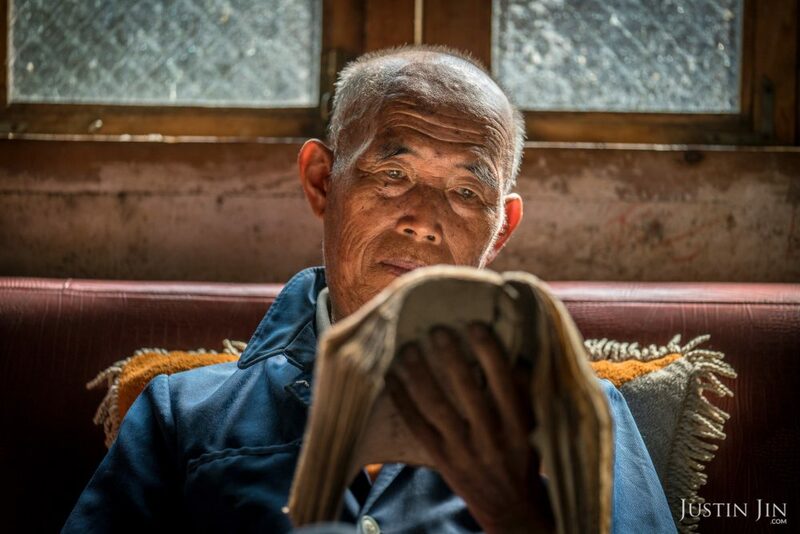 Ye Ye, a Feng Shui master, herbalist, and fortune teller, oversaw much of life and death in Dimen; he helped villagers seek auspicious spots for their homes, healed the sick, and addressed life concerns, often for very little money or nothing at all. After the demolition, neighbors showed their support to Ye Ye and his family by patching up the house before evening fell. Word from the village came fast and it wasn’t long before Father Wu heard about the pillage. He felt his “head exploding” at the news, he recalls. 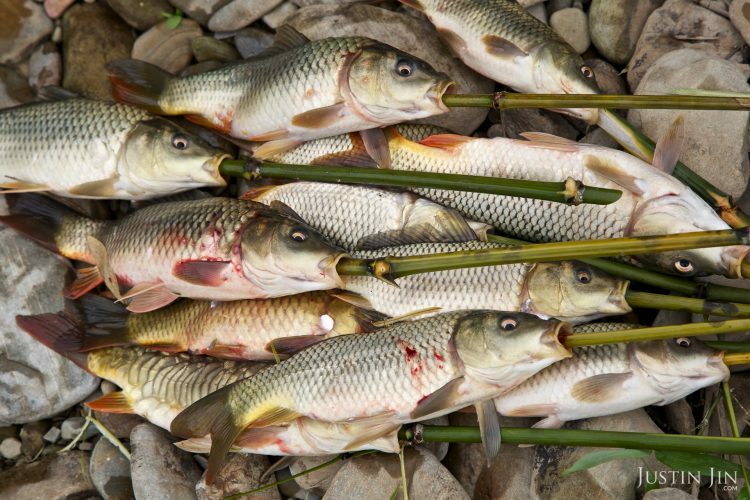 The only way to keep Mother Wu and her unborn child safe was to hide them all. Mother Wu and 3-year-old Dong spent the next four months in his small room, without leaving. Mother and Father Wu delivered the baby – a son – together. They named him “Dehong”. Less than two weeks after Dehong’s birth, Mother Wu and the two children returned to Dimen to face the consequences of their choices. The lived with uncertainty and dread for three months before the authorities returned. The fine this time was 7,000-yuan, but the family had only 24 hours to pay it. Failure to pay would mean a bigger fine and the total destruction of their home. Mother Wu ran from house to house to borrow from relatives. She paid up at the strike of the clock. To clear her debt, Mother Wu joined a logging brigade as soon as Dehong was a toddler. She ate and slept in a communal tent in the mountains, carrying timber during the day. Her earnings – just 5 yuan a day – meant she faced the prospect of working nearly a decade for her freedom. Other family members, too, made sacrifices to pay the debt. Even though secondary education in China is free, the family could not afford the bus ride, food, or books of the eldest daughter, Nong. Even though she was at the top of her class, Nong had to withdraw from secondary school at age 14. Nong’s teachers pleaded with the family, saying she could one day go to university. Her father refused to spend money educating his daughter when the family had hardly enough to eat. 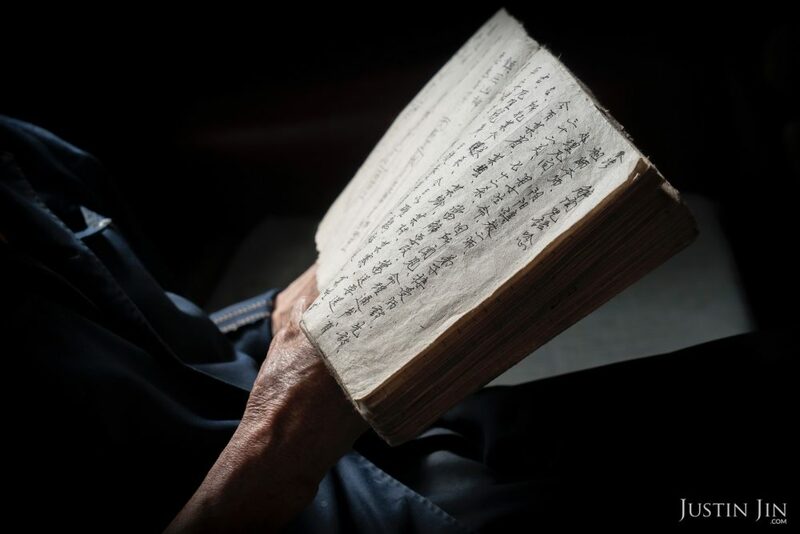 Moreover, since local tradition dictated that brides enter the groom’s family when they marry, Father Wu saw no reason to benefit someone else by investing in his daughter’s schooling. On her last day of school, Nong sobbed with anger. A week later, she left the village for factory work in Guangdong with a doctored ID to make her old enough to work. For the next 13 years, she worked from 7:30 a.m. to 11:30 p.m., six days a week, making clay dolls for export. Nong carried her pain, isolation, and resentment for years. Nong sent a large portion of her monthly wages home. 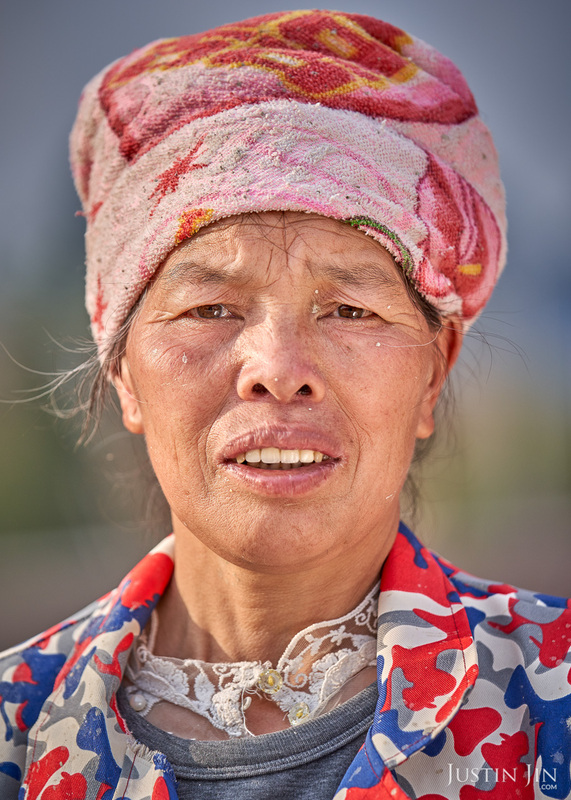 Every pay transfer triggered Mother Wu’s great guilt over sacrificing her daughter’s education. She saved all of Nong’s money, returning it on Nong’s wedding day. Nong married a boy from the village, and now has two children (9 months and 2 years), and an older daughter, 7, from her husband’s first marriage. Nong’s home sits on the family’s own plot of land, and shows signs of prosperity. The 250-square-meter brick structure has ceramic tiles and a flat-screen TV in their living room. But the creature comforts do little to assuage Mother Wu’s guilt over failing her daughter. Her other children would study, she promised herself. Mother Wu’s efforts were not supported by her husband. Father Wu never learned to speak Mandarin or write like his father. While his wife works in a far-off town, he stays close to home, content to live off of whatever his field produces. No matter how hard Mother Wu worked, misfortune was always nearby. In 2006, the family again lost their home. 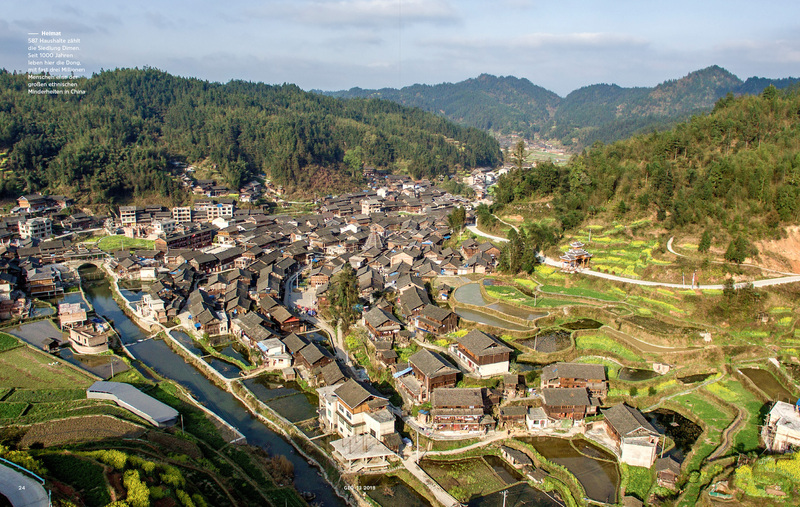 Houses in the thousand-year-old Dimen are built by villagers for one another closely around the three Drum Towers — octagonal pagodas modeled after a cedar tree — reflecting a tight-knit community where 95% of residents share the surname “Wu”. Friends, relatives, and neighbours wander through one another’s houses to get to other parts of the village. The smell of food permeates every alley, and people are often welcome to eat at any home. “Like blood flows, our community flows through the houses,” one resident says of the 587 households. But on a chilly night in April 2006, it was fire that swept through the timber lodgings. An old man dropped his quilt onto the burning coals that kept him warm. The fire, stoked by the night wind, spread fast through half the village’s inflammable houses, including the one that belonged to the Mother Wu. They fled in time to save themselves and watch their home succumb to flames. 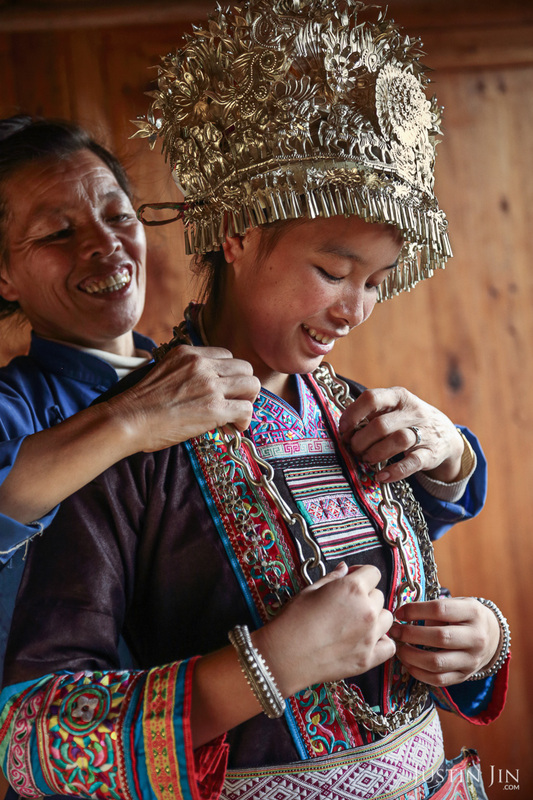 In search of a life beyond the village, Mother Wu’s second daughter, Xia, doubled down on her education. 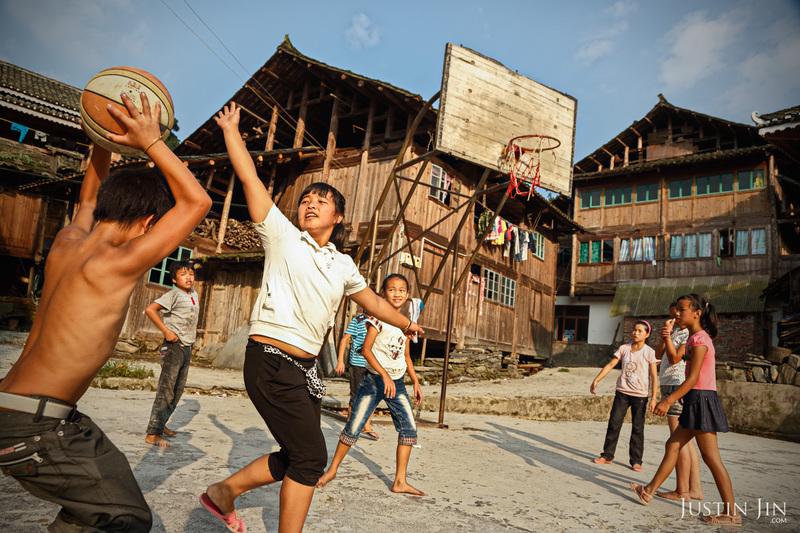 Dimen, an ethnic Dong village with 2,380 people, has no high school. Xia walked hours along mud paths to school each day. Teachers spotted her talent early, and sent her to the county high school as a boarder. She won one academic award after another, her embossed certificates still nailed prominently to the dusty wooden panels in the family home. 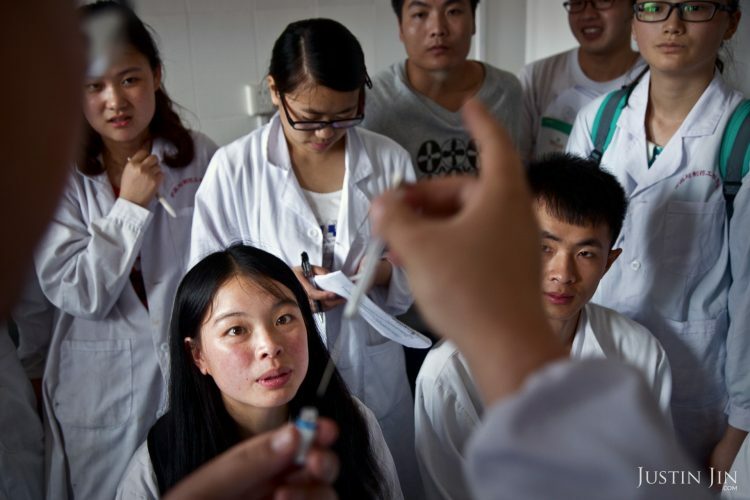 Xia’s hard work coincided with a changing attitude toward women’s education across China’s poorest regions, with teachers pushing parents to keep girls at school. One day, the school came with a warning that thundered through Mother Wu: her daughter might go to university. material factory in Guangdong, sharing a dormitory room with seven other women, and earning 20 times what she made back in Dimen. After Xia graduated from high school in 2012, the 19-year-old girl returned to the village to wait for her final exam results. They came, together with a letter that would change Xia’s destiny: an acceptance notice from the prestigious Guiyang Institute to study food science. When Mother Wu, by then 50, heard the news, she took a 10-day leave from work to return to Dimen and celebrate with her daughter. She also wanted to make sure her husband would not sabotage her plans. Father Wu, as she predicted, objected to Xia attending college. He preferred instead to invest in their only son. As the party continued into the night, he retreated to the black-and-white television. With Father Wu withdrawing support for Xia’s further education, Mother Wu pushed ahead, armed with four years of factory wages. When Nong learned of her father’s attempt to stop Xia’s education, she berated him. Father Wu conceded. 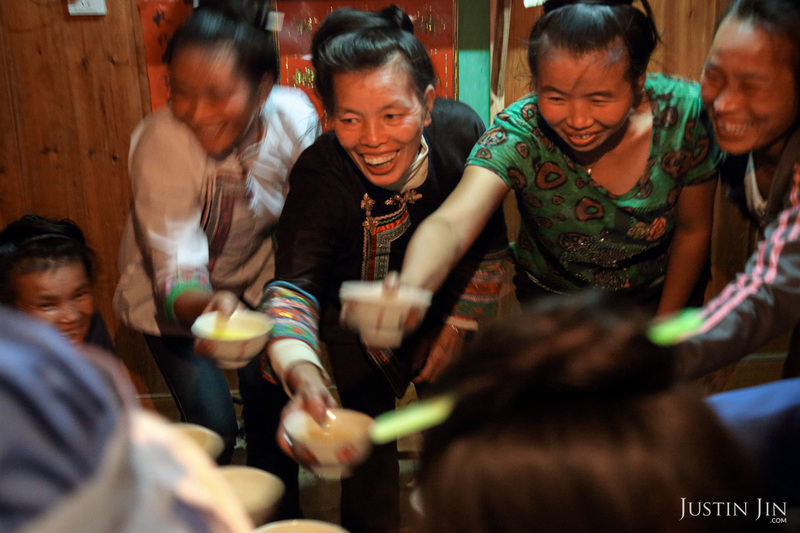 The whole village celebrated Xia’s success and the family serves a traditional feast in her honor. Ye Ye brings a pig’s head across the Dimen River to the local temple. He thanks the heavens, and asks the village god to protect his granddaughter on her journey. He carries the pig’s head home, where some 80 guests fill first the living room, then the TV room, and then the bedrooms upstairs. When the village chief arrives, he has nowhere but the front yard to squat. Most of the guests are elderly people clutching their grandchildren, feeding and pampering them on behalf of their parents, the in-between generation that is away in the city, earning money. The day after her send-off party, Mother Wu motioned her daughter upstairs. With an old iron key, Mother Wu unlocked a door leading into a dusty room dominated by a century-old wooden loom and a metal-banded chest. She extracted her treasures as Xia looked on. She pulls out hand-woven shoes, finely embroidered silk ribbons, and fabrics dyed with intriguing patterns – all parts of ethnic Dong costumes and accessories. Finally, she revealed her prize: a glittering, ceremonial headpiece with swaying golden leaves, passed down through a succession of mothers and daughters. Layer by layer, lace by lace, Mother Wu draped her daughter in the garment she began whileXia was pregnant, before she knew the baby would be a girl, let alone what kind of girl she would grow up to be. 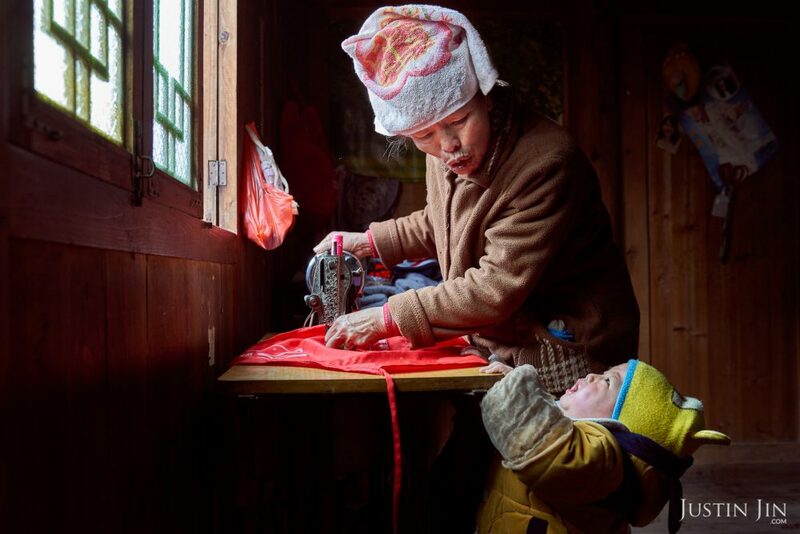 After Xia was born, Mother Wu continued to weave and embroider ribbons and shirts whenever she was not working the fields. The Dong have no written language. Instead, mothers use this embroidery pattern to express love for their children. Mother Wu’s thumb and index finger, normally used for rough, heavy work, caressed every strand. Mother Wu crowned Xia with the golden headgear. Everything fit. Mother Wu’s stoic face melted, the deep lines of hardship recast with the dignity of sacrifice. According to the Dong people, the dress should be presented to the child during an auspicious event in her early adult life, usually a wedding. But for Xia and her mother, today was that day. Mother Wu slipped Xia an envelope filled with cash, equivalent to six months of wages. Xia thanked her mother with a kiss, her first since childhood. Mother Wu’s eyes welled up, and she nudged Xia at the door, unaccustomed to a display of emotion. When Xia leaves for the big city a few days later, her mother is already back in the factory in Guangdong toiling for her. She is wearing one of the shirts her mother wove. Her father stares down, washing his clothes, as his daughter waves goodbye. On the bus, Xia sheds her Dimen identity in just a few kilometers. She misses no one from the village, except her mother. Her daily life in the city could not be more different from her mother’s. At university, Xia wore a white lab-coat to lessons and made friends quickly. 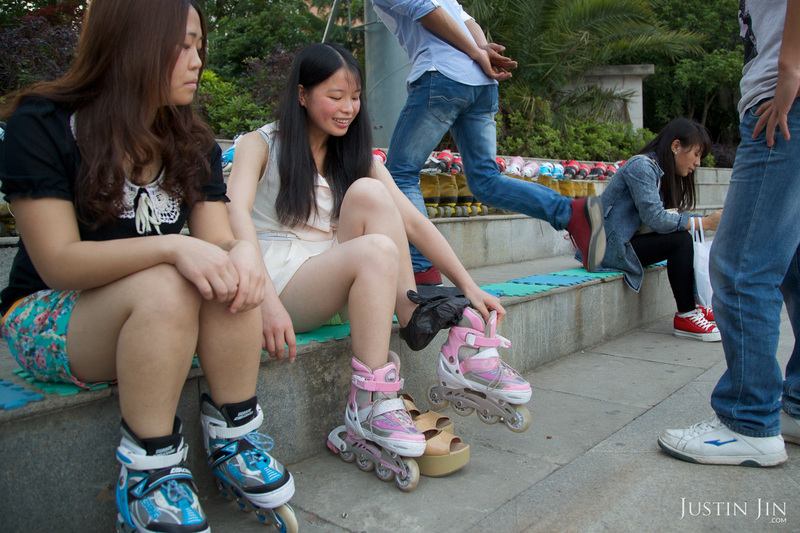 She had time to spend with them after class, when they would roller-blade or window-shop together. On weekends, Xia worked as hotel chambermaid to pay for her studies and volunteered as a tutor to rural children. “I have been so lucky to be here, and I want to give other kids a chance to leave their villages too,” she says. During her four years at university, Xia’s family never visited. As far as they were concerned, she had embarked on a promising path. That was enough. Today, Xia makes about 5,000 yuan a month as a human resources executive in a mineral water company. She leaves work every day at 5:30 p.m., with time to enjoy evenings with friends. This Chinese New Year, she brought her father a red envelope with enough money for a new tractor. Mother Wu’s third daughter, Dong, left school after junior high, opting for factory work in Shenzhen at the age of 15. She found a job packaging cosmetics and stayed at the company for five years until getting pregnant. She married her beau and moved to his home city of Chongqing, where she set up a new life with their son in an apartment while her husband works in Shenzhen. 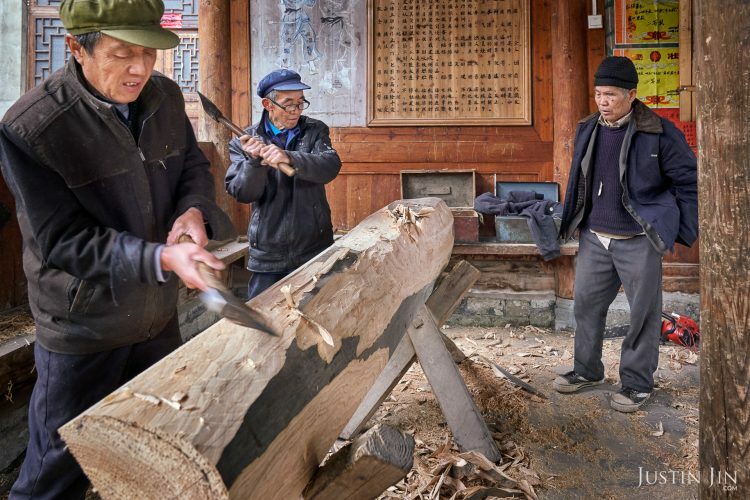 Dong recalls a sweet childhood in this ancient village, one that benefited from the economic changes sweeping across China. Electricity came to the village only in the 90s, and then streetlights. Free WI-FI now blankets Dimen. After a while the Chongqing apartment and her faraway husband made Dong lonely and isolated. 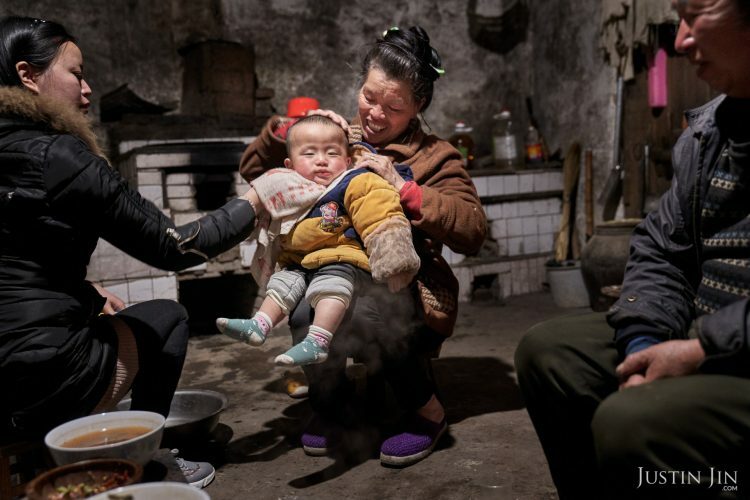 With her son, she returned to Dimen, part of a new generation of Chinese who are reversing the village-to-city trend, opting for the space and lifestyle of the countryside and enabled by a far-reaching network of high-speed trains. The dirt road leading out of Dimen has been paved, and it’s a one-hour bus ride to the gleaming train station that connects the region to the rest of China. Though life is better for many in Dimen, Mother Wu is still at work. Since I first met her in 2012,nwe have maintain the relationship with calls and visits. This year, in 2018, I found her back among a hive of workers building a new teacher’s complex. In the middle is a woman with a pink towel wrapped around her head. Mother Wu has greyed a lot since we last met, and her teeth have been replaced by a fake set too large for her mouth. She works on a patch of cement. She will earn 160 yuan a day. The work crew sleeps on the concrete floors of an unrenovated building, washing and cooking with a single hose. Villagers who leave Dimen to work now do so for shorter stints. High speed trains have reduced travel time to the factories in Guangdong province to less than five hours. They also bring increasing numbers of visitors both from within China and abroad, quickly eroding traditions and cultures. 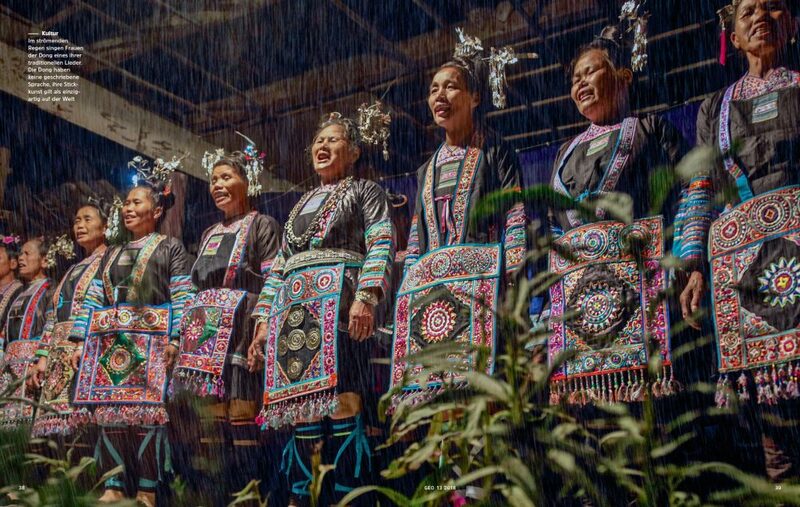 For centuries, Dong people communicated over distances by singing, and the “Grand Choir” has been recognised by the UNESCO as among the world’s great intangible arts; today, it is waylaid by mobile phones. 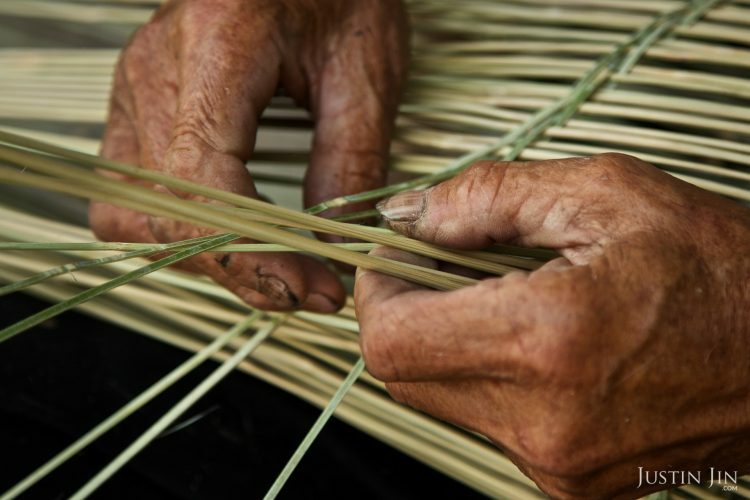 When workers left the village, they had no time for paper-making, weaving, or embroidery, the exquisite crafts that will likely die with the older generation. One custom that remains strong is coffin making. When a boy is born, his family elder designates a small tree that will grow up with him as his protector. 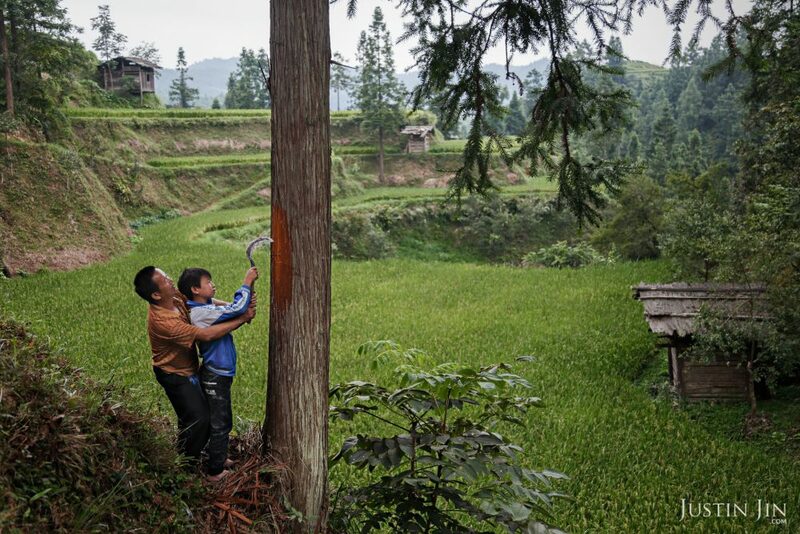 Father Wu regularly brings Dehong to mark his tree. As it is with men, it is with trees: the best ones are straight and strong. When the boy reaches 40 or 50 years old, the tree will be made into a coffin for him and his wife, and stored under their home. To the Dong people, life and death are part of the same natural rhythm. Money trickling inland from the rich seaboard helped build a fast, new infrastructure. Children can now see their parents more often. For Mother Wu, frequent visits home restore her. In her Dimen home, the kitchen is blackened with soot from wood fires. Having devoted her life to better her children’s, she lives on the edge of poverty. During my visit in March, we eat mostly rice with pig’s fat, vegetables and tadpoles. The tiny black creatures are bitter and slimy, but Nong explains with a laugh that grown frogs would escape and become someone else’s food next month, so they had to catch them now. At home, Mother Wu seems to slough off the hardship and austerity of her life. She is surrounded by her grandchildren and not at all reluctant to shower on them love and affection. She frequently interrupts her chores to kiss and cuddle them, and finds joy in feeding and bathing them. She and Father Wu take the grandchildren to the fields on their tractor to play as they work. She even finds the leisure to laugh with Father Wu, time having worn the edge off of old disagreements. 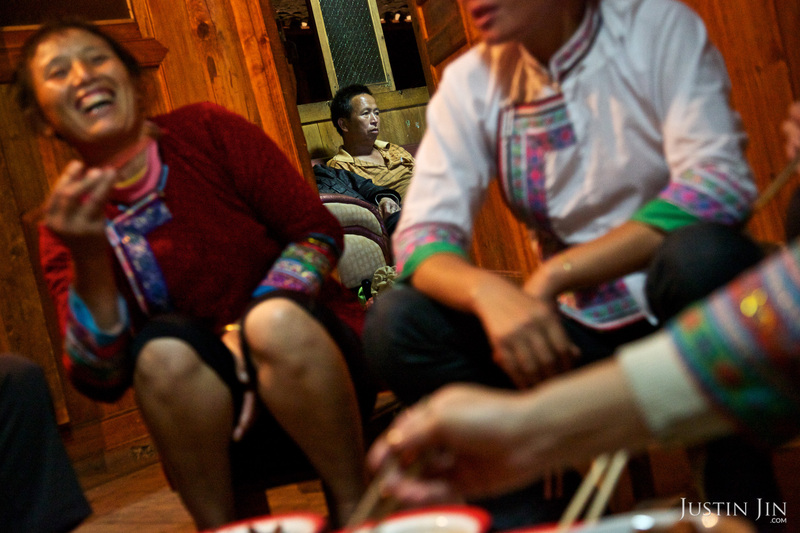 Mother Wu’s eldest daughter, Nong, says she no longer thinks about her education. She last attempted to study computer at a night school in Shenzhen, but dropped her students to focus fully on work and her children. She bought her father a 49-inch flat-screen TV, which he watches often. “As soon as he fills his stomach, he falls asleep in front of the TV,” Nong says, with equal measures of annoyance and affection. With her three daughters either married or well employed, Mother Wu’s last worry is for her son. Now 19, Dehong dropped out of school and dreams of striking it rich in the city. He works in a factory in Guangdong, operating computers that make embroidery – a mass version of the work his mother and centuries of Dong women created with a single needle. At home in Dimen, Dehong’s sisters say he gets up late and only appears from the room when his meal is ready. Like his father, Dehong seems to take life easier than the women around him. But to Mother Wu, he is her true darling, the child for whom she took the gravest risk and received the harshest punishment. No matter how much more she has to work, she does not want to come up short on his wedding day, whenever that may be. She is already toiling for a third generation. 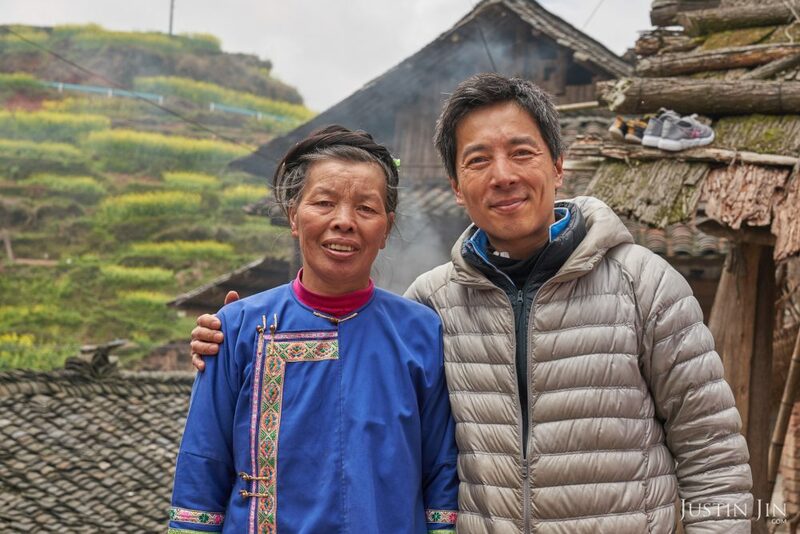 International writer and photographer Justin Jin first met Mother Wu in 2012 while shooting a story in Dimen for Pernod Ricard, the world’s co-leader in wines and spirits, in collaboration with the Dimen Dong Eco Museum. He developed a relationship with the family and published their story in magazines around the world, notably in GEO, which commissioned a follow-up in 2018. Justin is working with organisations to explore issues of tradition, education and modernisation among China’s ethnic minorities.